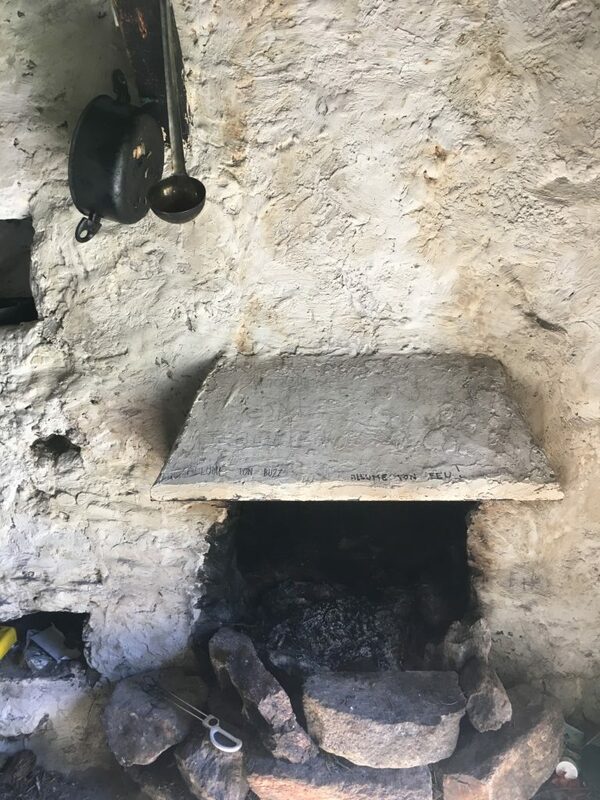 We woke up on the top of the Col de Pailheres in thick fog, we could barely see anything; a bit of a concern as we wanted to drive back down towards Ax-les-Thermes. After a couple of hours the fog had lifted enough to be considered low cloud and gave us enough road level visibility although there were no views to be had. What a difference on night can make. We were heading in the direction of Andorra, this should have been an easy route directly down the N20 but our sat nav is not happy. We could see there were plenty of large lorries on this road so we ignored the sat nav, and eventually we found the cause of the problem – an arched bridge that has a 3.1m warning. It’s not 3.1m at the apex, but the arch is low sided and large vehicles need to be in the middle of the road. Our destination was not Andorra itself but the last village before Andorra – L’Hospitalet-pres-l’Andorre. The population of approx. 90 people are celebrated in a large poster as you enter the village. There is not a lot here, a train station, a couple of cafes and a hotel. But most importantly there is an aire of nicely separated diagonal pitches. We enjoy watching people manoeuvre into them. It’s pretty easy if you drive round the back, but everyone seems to want to reverse in from the front at an awkward angle. The trains pass close by but they run infrequently and slowly and don’t disturb us. Busy aire in the gloomy evening. That afternoon it’s a bit drizzly so we settle down to a couple of sewing projects. We are adjusting our bath mats so that they fit in the space in front of the shower without having to be awkwardly folded. No prizes will be won for the finish but we’re happier. The following morning is bright and clear, we are woken by the whirring of helicopter blades. There is a lot of avalanche protection work going on and we can see the helicopters flying supplies and equipment up to the top of a long avalanche corridor on the mountain above the road. Binoculars show workers in precarious looking positions positioning fencing across the steep drop. Paul fancies a bike ride so we head on up to the Col de Puymorens where we can cycle up the Coma d’en Garcia. We don’t end up getting very far, but we stop for a nice long picnic in the valley where we bask in the sunshine and take in the views. We see a large bird of prey that might be an eagle, but we’re not sure. Magpies mob the kestrels that are hovering in the valley. It’s pretty idyllic. 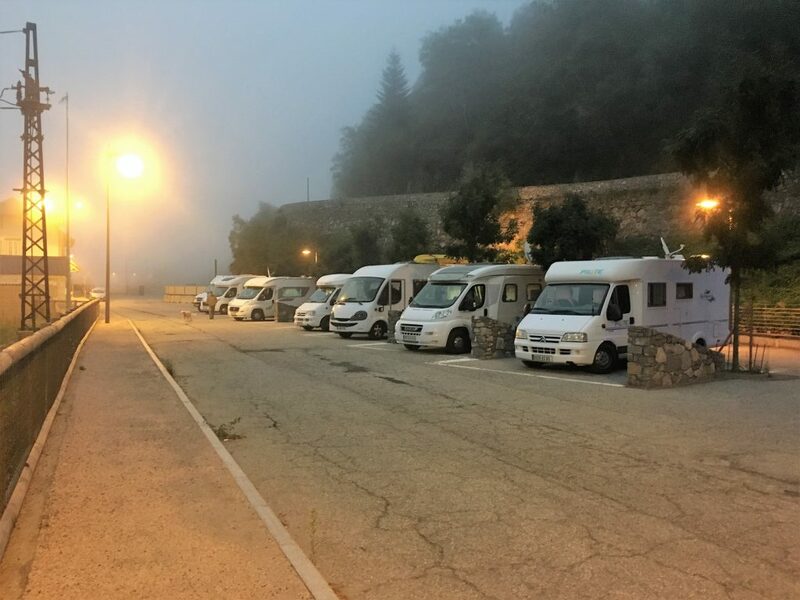 We stay at the car park on the col overnight with a couple of other vans but most motorhomes are just passing through; stopping for photos at the top and then heading on into Spain. 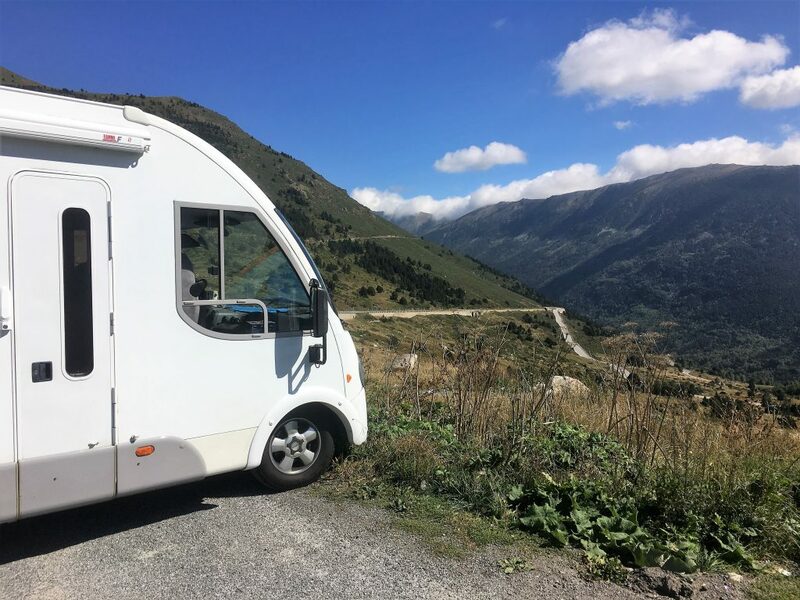 It seems to be typical of many people to treat the Pyrenees as something that needs to be got through in order to get to Spain. 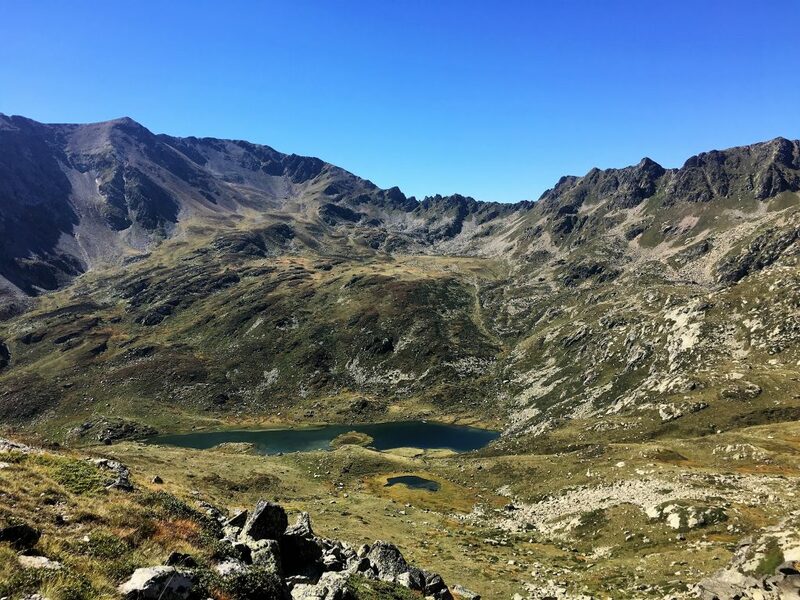 The following morning we decide to head back down to L’Hospitalet-pres-l’Andorre in order to do a circular walk. This starts across the main road from the aire. We don’t realise that there is an underpass so scuttle across when there is a gap in traffic. On the way back we find the underpass and feel safer although it adds a few hundred meters to the route. We follow the GRT steeply up through the woods, ignoring the branch off to the Cascades. As we get higher we move into birch woods, the silver trunks shining against the backdrop of autumnal shrubs. The main junction, where the circular part of the route starts and finishes, is well signposted. 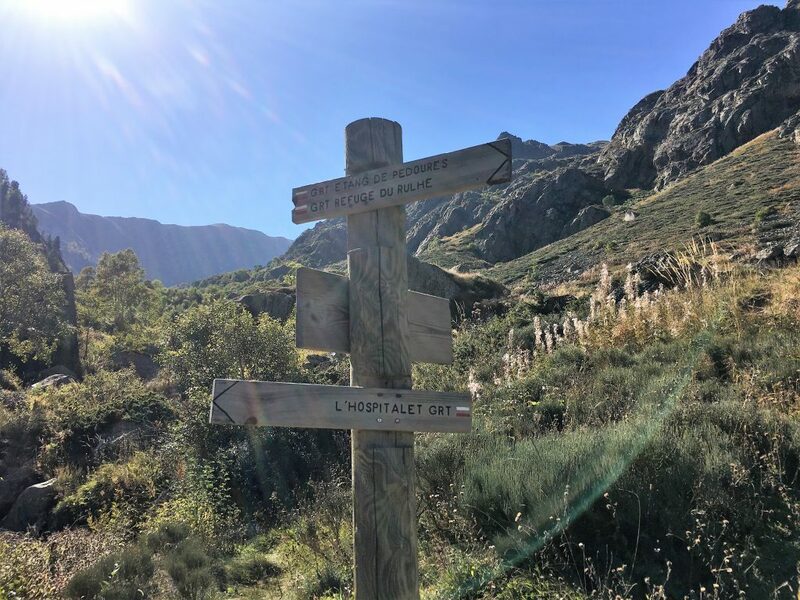 We branch off the GRT and head towards the Etang du Siscar, continuing to follow the stream that meanders up through a beautiful series of terraced valleys. It’s incredibly scenic and feels quite remote. 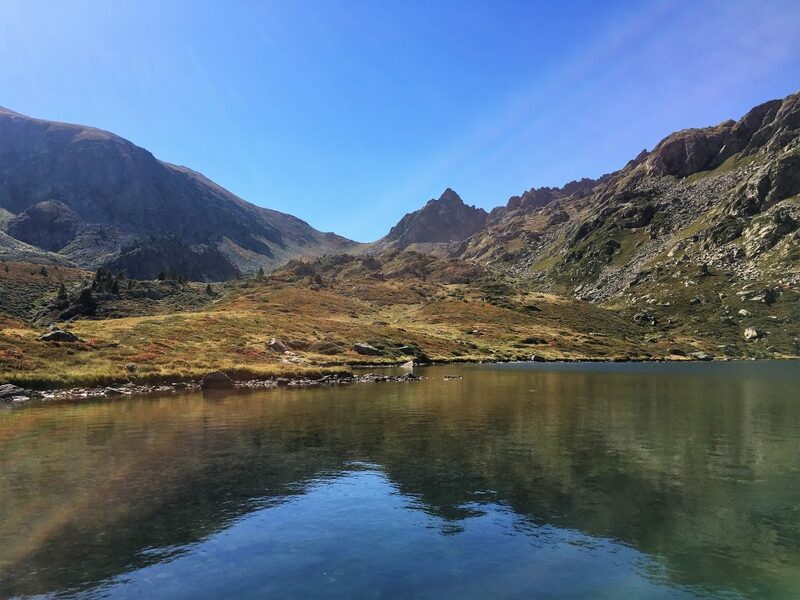 Siscar lake is in the final valley surrounded by jagged peaks. We know there is an onward path from here up over the Porteilla de Sisca, but cant see it. Eventually we realise that we need to head slightly back on ourselves to take a couple of long switchbacks up the side of the corrie. 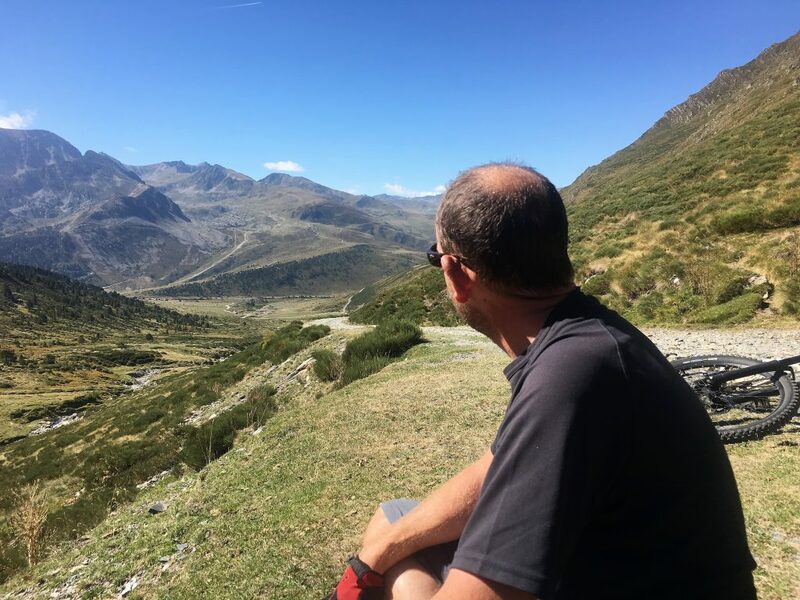 Finally we are at our highest point – 2440m – we stop for a rest and some lunch and admire the views. We have been on our own so far so selfishly spread our stuff over the path which is the only flat surface. That just happens to be the point at which another walker appears and we hastily remove ourselves from their path – slapped wrists for us! We couldnt resist a peek inside one of the shepherds huts. They can also be used by walkers. 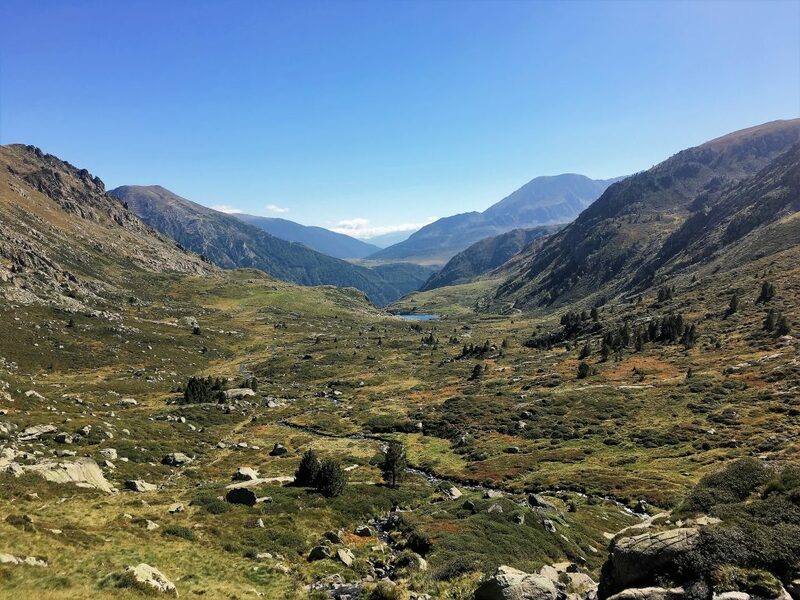 The route down takes us steeply down to the Etang de Pedourres where we have another rest stop – it’s good for the soul to take a moment to enjoy the beauty around us, or that’s my excuse anyway. From the lake we follow another river down a long valley. 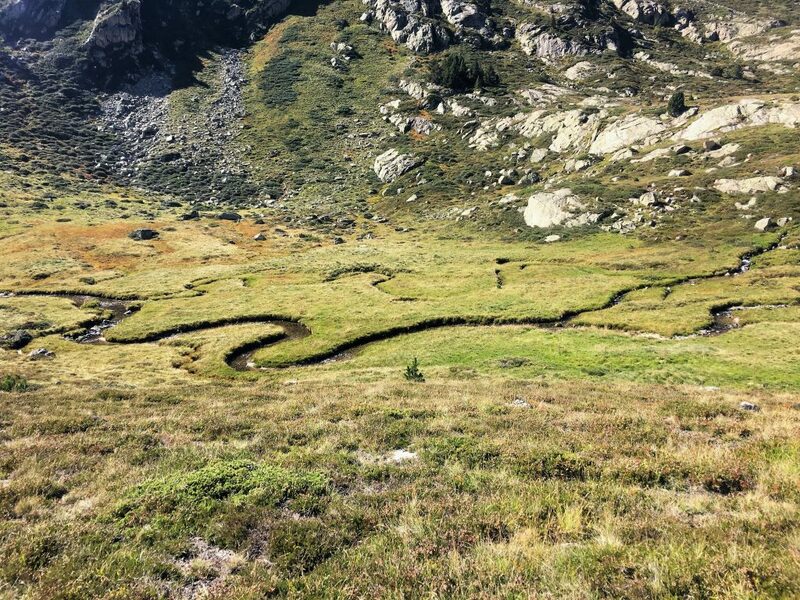 The stream of rippling water glistens in the sunshine as it makes textbook snakelike curves. This is another walk that is incredibly satisfying and we’re glad that we found it on Esther and Dan’s website. Soon enough we are on the last stretch, under the pipeline for the EDF powerstation and back to the junction.